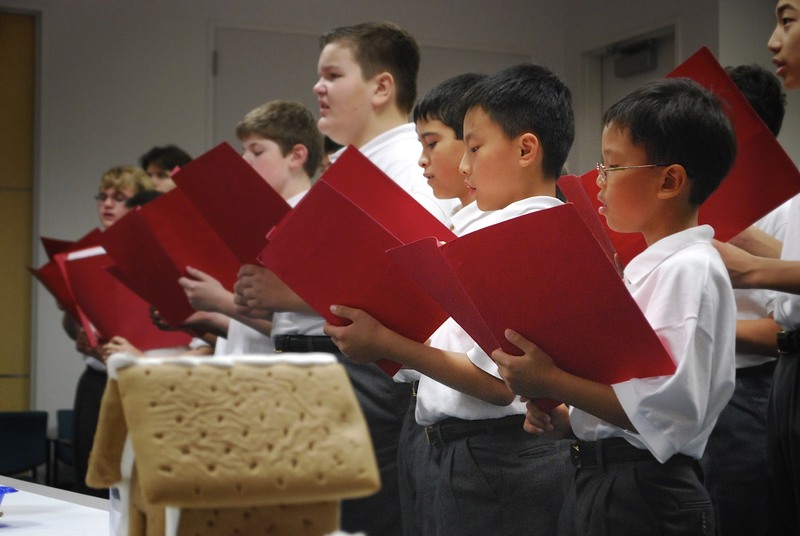 To be a member of the Houston Boychoir is to experience life in ways that are unique to the average boy between the ages of 10 and 18. On such opportunity came when we decided to take our talents into the Texas Medical Center this holiday season. It was a beautiful morning on December 8th when the boys of the Chamber Choir set out for Texas Children’s Hospital to spread good cheer and sing. This was a new experience for these boys and in the early morning chill didn’t know what the day would bring. Santa’s Medical Center Workshop where we warmed up and sang a few carols for the early morning hospital shift as they arrived. Singing began in the lobby when who did we meet but HBC Friend, Harris County Sheriff Adrian Garcia and his crew, there to bring presents to the children. The great discipline taught through the study of music creates boys who are unique in their ability to emulate the adults they meet and adapt to the expectations of the environment they visit. And so the boys had the privilege to enter the floors and sing for the patients, their families and the all important hospital staff, doctors, nurses, aides, technicians, all who were there on a Saturday working in an emotionally charged atmosphere with children and health concerns. 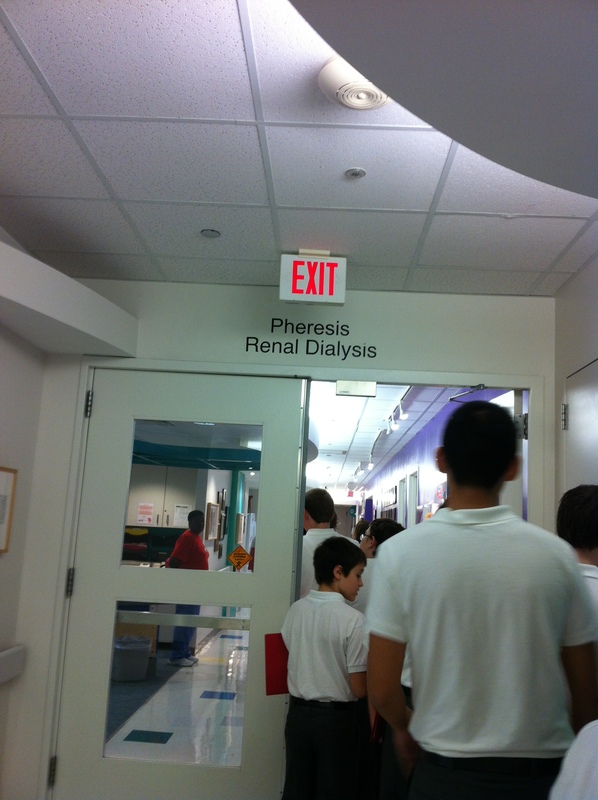 Boys had the opportunity to sing for patients while on dialysis and their parents who sit with them tirelessly. The nurses on staff seemed to enjoy the joy of the singing as much or even more than anybody. We hear they have few visitors on Saturdays and everybody seemed to be glad we were there. We could tell because we heard them singing along. It was a privilege to be in the hospital and we knew it. After dialysis it was time for lunch so we went to the cafeteria where we were treated to cheese and pepperoni pizzas. Always a favorite with singing boys! Of course all the hospital staff and some patients who were having lunch in the cafeteria wanted to hear Christmas carols too so we sang for them. The cafeteria lady who worked the cash register grinned the whole time! All in all it was a trip to be remembered. At the next rehearsal the boys talked about how much it meant to them to be so close to the people in the hospital, the children, their parents and the staff. To sing and to see on all the faces the sadness that comes from being in the hospital and the joy the boys could bring singing. It's still a boy's voice! Thanks for the insight on this visit. Warms my heart! It makes me proud to know my contributions support such endeavors. Thanks to all involved! Your contributions serve to make my world a better place and inspire me to do the same.Thank you!! As one who witnessed this visit . . . Houston Boychoir makes such a difference.